Nationwide Merchant Accounts is your advocate in the credit card processing industry. We go above and beyond offering great rates and low fees when you open a Nationwide merchant account. We strive to offer the trust, personal attention and education you deserve from your merchant provider. There are many options when it comes to choosing a merchant processor, and most business owners are not sure who to trust. Not only will Nationwide Merchant Accounts provide you with the best solution, we will earn your trust. We will show you the ins and outs of the industry and explain the rates and fees in detail. We want you to have a better understanding of the industry. 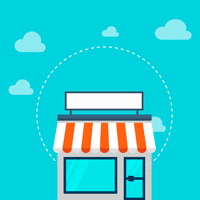 Nationwide Merchant Accounts will search for the best custom-made solution for your business by evaluating your needs and fitting you with the best hardware and/or software solution. Each business needs a terminal or software package that best fits their needs. We will ensure the perfect solution for you; whether you need a counter-top terminal, wireless terminal, virtual terminal or software platform, Nationwide Merchant Accounts will provide your business with exactly what it needs.